Norwegian producer, composer, and arranger John Derek Bishop has recorded under several, different names and Tortusa is his ambient music alias. Recorded with famous guitarist and composer Eivind Aarset for Bugge Wesseltoft’s Jazzland Recordings (celebrating 20 years in the business this year), “I Know This Place” is a pretty short, 8-song selection clocking in at just 36 minutes. But in general, it’s worth the trip. And ambient music is certainly the best description for this project which starts a bit gloomy and mysterious with synth pads and added layers of keys on the title track. It is really only after the track is over when the effect creeps in. But there are some uneven moments as well, like on the disturbing “This Again” which is saved by an encouraging underscore. For me, so-called ambient music records should be of a piece. 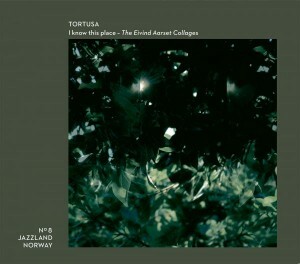 And with tracks like “Selective Hindsight”, Tortusa manages to come up with a uniform sound. And even the tunes which feature Eivind on guitar, like “Maybe You Still Do”, fit into this game. Some of the moody sounds here don’t really make a full song, but rather fragmentated soundscapes with distorted keys and guitars (“There’s So Much Static”). There is a certain attraction in songs like the final cut here, “Take It From Here”, all exotic, mysterious, haunting and flavored with a certain vulnerability that has the potential of somehow getting addicted, it’s just my problem that this is the wrong part of the year to release an album such as this. I’m sure I’ll have more fun with it next fall or winter.